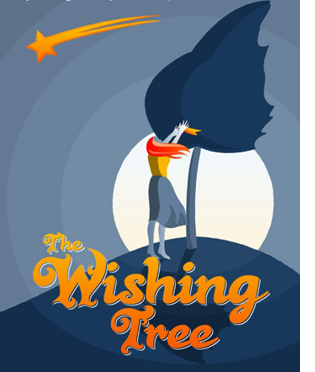 An enchanting new improv show, The Wishing Tree, comes to BATS Theatre from 8 – 12 December, presented by the Wellington Improvisation Troupe (WIT). Based on a Japanese myth of love, luck and fate, a tree blossoms with genuine wishes as anonymously supplied by the audience. These true desires become the inspiration for scenes that will transport audiences to a world where their own wishes are brought to life before their eyes. Sometimes for good, other times for ill, and sometimes just for a laugh. The Wishing Tree premiered during the 2009 New Zealand Improv Festival with a one-off show comprising performers from troupes across New Zealand and Australia. Described as “elegant and touching” (Salient Magazine), by popular demand WIT is bringing this show back to Wellington audiences who missed out on the sold-out show during the Festival. Based on a format created by Rama Nicholas of Impro Melbourne, The Wishing Tree has been performed around the world, from Belgium to Seattle, inspiring performers and audience alike. Starring WIT regulars from improvised soap The Young and the Witless, Derek Flores, Simon Smith, Anton van Helden, Paul Sullivan, Christine Brooks and others, The Wishing Tree will bring your true desires to life in a unique theatre experience this December. This entry was posted in Other formats, past shows and tagged christmas, improv, improvisation, wishing tree on December 31, 2009 by MaDmin.